Sleeter Group Announces 2015 "Awesome Applications"
Each fall, the Sleeter Group, arguably the most popular provider of technical reference materials, software expertise, and QuickBooks training materials for small businesses, has recognized accounting products in the SMB (small to medium business) market place. For many years, this list was called "Awesome Add-Ons" as in adding to the functionality of QuickBooks. Beginning in 2012, the group opened the competition to non-QuickBooks related products and changed the name from "Awesome Add-Ons" to "Awesome Applications". There remains, however, a strong QuickBooks flavor to the listing. As consultants with many clients using QuickBooks, we are always interested in and looking for improvements to the basic QuickBooks platform, as well as improved or added functionality provided by third-party add-ons. With hundreds (if not thousands) of add-ons available however, it is difficult to assess which ones are worthwhile. Reviews by independent organizations such as the Sleeter Group help in assessing a product's strengths, weaknesses, and value. TSheets is a repeat winner from last year. 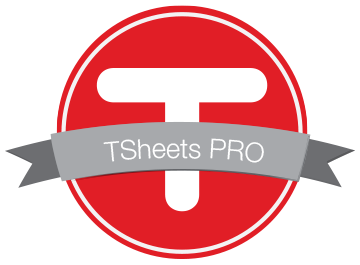 TSheets is an employee time-tracking system that can be used on mobile devices and desktop computers. We've been recommending this product lately for its ease of use, integration with QuickBooks, and its cost effectiveness (it runs about $20 per month plus $5 per month per employee with per-user prices decreasing as number of users increase). The publishers claim "DCAA Compliant" for this product - it requires supervisory review and approval, maintains an audit trail, and prompts for timely entries. For companies looking to automate their timekeeping systems, this product is worth a look. Acctivate is a cloud-based inventory management system that made the top ten list. There may be a few Government contractors out there who require inventory management add-ons but most of these seem geared to the wholesale/retail. If you're not satisfied with QuickBooks, you might look at a couple of other accounting systems that made the top ten; Zoho and Xero. We don't know too much about these products but they are gaining in popularity. Both are cloud-based platforms which hold a lot of appeal. Many companies struggle with budgeting and forecasting. LivePlan is a cloud-based application that allows small businesses to easily create business plans, create and tract budgets and forecasts, and track financial trends. It can be set up, for example comply with Limitation of Costs/Limitation of Funds provisions in many Government contracts. To review the complete listing of "Awesome Applications", click here. What good are policies and procedures if no one follows them? What good does it do to develop good policies and procedures if no one enforces them? Why have polices and procedures in the first place if no one monitors compliance or checks to see if they're working, as intended? In news article published today, a State Auditor's Office performing a routine audit identified two employees whose overtime totals stood out from all other employees. As part of the audit, the auditors compared overtime hours claimed with information compiled from their building access cards. There were substantial differences so the auditors referred the matter to State investigators. The investigation found that two employees "gobbled up" $130 thousand over a three year period in "bogus overtime" payments. Needless to say, these two employees are in trouble. One was fired and the other resigned but they may be facing other legal consequences. Their supervisor was demoted for lax oversight and the article is blaming the matter on failure to follow policy. Our take on this matter is different. We believe that a failure of the internal controls allowed these individuals to skirt established policies. The policies and procedures may have been good but if compliance is not tested from time to time, those policies and procedures will be rendered ineffective. When a scheme goes undetected for three years, there would have had to have been a significant lack of internal controls including oversight, employee training, monitoring, and feedback. One of the most fundamental methods of internal control is the segregation of duties. When it comes to overtime, one individual should not be capable of initiating, authorizing, executing, and subsequently reviewing overtime requests for appropriateness. An individual should not request overtime. Overtime should be requested by a supervisor based on need. The supervisor should obtain approval from someone higher up the chain. Someone from finance should authorize funds. The employee and the supervisor should sign the timecard/timesheet certifying that the hours were worked and charged to the appropriate job. Payroll should verify that overtime hours were approved and reviewed by appropriate supervisors and management. Internal audit or special teams should periodically review these practices for compliance. Internal controls are not that difficult to implement. This is to certify that, to the best of my knowledge and belief, the cost or pricing data (as defined in Section 2.101 of the Federal Acquisition Regulation (FAR) and required under FAR subsection 15.403-4 submitted, either actually or by specific identification in writing, to the Contracting Officer or to the Contracting Officer's representative in support of ________ are accurate, complete, and current as of ____________. This certification includes the cost or pricing data supporting any advance agreements and forward pricing rate agreements between the offeror and the Government that are part of the proposal. The intent for increasing the TINA threshold (Truth-in-Negotiations Act), according to the FAR Council, is not to reduce Government oversight but to maintain the status quo, by adjusting thresholds to keep pace with inflation. If the threshold was not adjusted for inflation, the number of contracts subject to TINA would continue to grow, because more and more contracts will be above the stated threshold. The new threshold will probably become effective on October 1, 2015. Bill to Prohibit "Boycotting Persons"
A bill was recently introduced in the House that, if passed, will require contractors and prospective contractors to certify that they are not "boycotting persons". Anyone who has gone through the certification and representations section of SAM (System for Award Management) is well aware of the checklist certs and reps that are already required. This bill would add one more certification to the list. Today I introduced H.R 5727 to thwart efforts by Palestinian organizations to pressure different corporations, companies and educational institutions to boycott, divest,and sanction Israel. Sadly, just yesterday we heard that some in the European Union are drafting new regulations with a similar aim. These attacks and the falsehoods being spread about Israel are harmful to any honest effort to bring peace to the region. (read the full news release here). The term "boycotting person" means a person who takes or knowingly agrees to take any of the actions described in the next paragraph, with the intent to comply with, further, or support any boycott against a country with which the United States has a free trade agreement and which is not itself the object of any form of boycott pursuant to United States law or regulation. The "actions" referred to in the previous paragraph include refusing, or requiring any other person to refuse, to do business with or in the boycotted country, with any national or resident of the boycotted country, or a business concern organized under the laws of the boycotted country. The penalties for false certification are harsh. If it is determined that a person (i.e. a contractor) has submitted a false certification, the contract will be terminated and the person will be debarred and ineligible for any Federal contracts for at least two years. Now, this bill could prove problematic for some contractors, individuals, and educational institutions who are already engaged in various forms of boycotting. What are ERP (Enterprise Resource Planning) Systems? ERP or Enterprise Resource Planning systems is one of those terms that we tend to throw out there and expect everyone to know what we're talking about. When you here the acronym, think of a huge software application that performs many different business functions. The term itself is somewhat vague and to find out what the capabilities of any particular ERP system, you have to ask a lot of questions. No two ERP systems are the same. Enterprise Resource Planning (ERP) had its beginnings back in the late 1970s or early 1980s. Back then, it was simply called Materials Requirement Planning (MRP) and had the capability to plan efficiently while considering bills of materiel quantities, scrap and yield factors, various lead times, various lot sizes, minimum and maximum quantities, safety stocks and safety lead times. Later on in the 1980s, MRP II cam along and added master scheduling, forecasting, customer service, order entry, capacity requirements planning, procurement, production control, inventory management, standard costing and accounting. The goal of MRP and MRP II was to allow companies to react and re-plan as it received feedback on performance against plan. In the 1990s MRP II evolved into ERP, Enterprise Resource Planning. ERP included functionality for quality management just-in-time manufacturing, financial planning and budgeting, executive support systems, EDI (electronic data interchanage), sales support systems, manufacturing executive systems, logistics, plant and equipment maintenance, and advanced planning systems. Over the years, more and more functionality has been included into ERP systems. Now we have collaborative planning, forecasting and replenishment features, supplier relationship management, CRM (customer relationship management). Additionally, there is the internet and mobile devise functionality being added all of the time. Current state assessment: The process of documenting the entity's current business process. This activity is sometimes called mapping, developing an "as-is" baseline, flow-charting, or determining current business process structure. Process re-engineering: The effort to re-engineer the entity's business process to increase efficiency and effectiveness. This activity is sometimes called analysis, determining "best-in-class", profit/performance improvement development, or developing "should-be" processes. Restructuring the work force: The effort to determine what employee makeup is necessary to operate the re-engineered business process. Generally Accepted Accounting Standards (see ASC 720-45) require that the cost of business process re-engineering activities, whether performed internally or by third parties, is to be expensed as incurred. The cost of software development on the other hand, whether acquired or developed in-house, must be capitalized (see ASC 350-40). Therefore it is important to properly segregate the software component from the re-engineering activities of ERP development. Yesterday we began this two part series on rental costs by emphasizing the need for contractors to document their justification for determining rental costs are reasonable. Generally, rental costs are going to be allowable but the FAR cost principle governing rental costs make a great deal about "reasonableness" and provides a number of attributes that contractors need to document in order to demonstrate cost reasonableness. It is not uncommon for contract auditors to request that information during audits. If you missed Part 1, click here. "Sales and leasebacks" are specifically called out in this FAR cost principle (FAR 31.205-36). Companies sometimes sell their assets and lease them back. One common reason for this practice is to get some cash (working capital) for operations but there are also income tax considerations that can work in their favor. Rental costs under a sale and leaseback arrangement are almost always higher than ownership costs had the contractor retained title to the asset. Obviously, there is going to be some imputed interest in the rental rate. Therefore, FAR caps rental costs under sales and leaseback arrangements at the amount the contractor would be allowed (ownership costs) had the contractor retained title to the asset. The ownership costs are computed on the net book value of the asset(s), adjusted for gain or loss on the disposition of the asset(s) on the date the contractor became a lessee. Contract auditors will specific tailor their audit procedures to test for sales and leasebacks and other less than arms-length transaction. The other thing to be concerned about with leases relates to terminated contracts. The FAR cost principle pertaining to rental costs (31.205-36) refers to a different cost principle for terminations (FAR 31.205-42). When a contract is terminated, contract performance is truncated and leases entered into for the purpose of the contract, have not yet run their course. Rental costs under unexpired leases are generally allowable under these circumstances but allowability is not automatic. The contractor must demonstrate that the lease was reasonably necessary for the performance of the terminated contract. The contractor must also demonstrate that the amount of rental claimed does not exceed the reasonable use value of the property leased for the period of the contract. Finally, the contractor must make reasonable efforts to terminate, assign, settle, or otherwise reduce the cost of such leases. Leases between related parties. We previously covered the special rules governing leases between divisions, subsidiaries, and organizations under common control. To read that coverage, click here. There are two kinds of leases capital leases and operating leases. Earlier this year, we presented a five-part series on capital leases (see Part 1, Part 2, Part 3, Part 4, and Part 5). The cost principle governing capital leases is found in FAR 31.205-11(h). A different cost principle, FAR 31.205-36 covers operating leases. FAR 31.205-36 applies to the cost of renting or leasing real or personal property acquired under operating leases. Generally, such rental costs are allowable, but the rates, terms, and conditions must have been reasonable at the time the lease was signed. The determination of "reasonableness" is always subjective but it is not common for contract auditors to question rental costs unless it is less than an arms-length transaction. For a discussion on rent paid to related parties, click here. Before entering into any rental agreement, contractors should consider and document the following FAR induced factors. The Government may ask for it. Other provisions of the agreement. How much premium does five miles justify? A number of years ago, the Government challenged a major contractor's rental payments for office space. The particular office space was adjacent to a major university and the employees working there were assigned to the contractor's research and development department. Five miles down the Interstate, the contractor leased other facilities for half the cost of those situated next to the university. The contract auditors determined that the contractor had not considered alternatives. The auditors noted that there was plenty of vacant office space in the half-price vicinity and recommended that the contractor consolidate its operations into the less expensive area. The cost savings to the Government would have been more than a million dollars per year. The contractor argued that the particular R&D section benefited greatly by being close to a research university - its employees could more easily collaborate with University researchers than they could if they were five miles away. Basically, the contractor built a case based on perceived or intangible benefits. The contracting officer (Defense Contract Management Agency) was persuaded by the contractor's arguments and did not sustain the auditor's position. According to the 2014 Association for Financial Professionals Payments Fraud and Control Survey, a staggering 60 percent of businesses were exposed to actual or attempted payments fraud in 2013. The typical fraud-related loss experienced by businesses was $23 thousand. Ten percent of businesses recovered the full amount of money defrauded from them. Thirty percent of those impacted by fraud recovered nothing. Not surprisingly, small businesses are more susceptible to fraud than larger firms. Many small businesses do not have internal control systems, they're disorganized, they do not perform business fundamentals like reconciling checkbooks regularly, and they put a lot of trust in their employees. There are many ways to defraud. If the fraud is the accounts receivable clerk kiting checks, the resolution is between the clerk, the company, and perhaps local law enforcement. But woe to the company where the impact of fraud is passed along to the Government through a contract or grant. That company will feel the immense weight of the Government investigative and judicial juggernaut as they pursue prosecution and/or settlement. Consider the Department of Justice press release from yesterday. Sevenson was a company founded in 1917 by one man. The company was passed on in the 1940s to the man's sons and from the sons to the grandsons in the 1970s. Here was a nearly 100 year old environmental remediation company that became quite successful by any standard - except for one detail. They had some employees who exploited weak internal controls. These employees accepted kickbacks, rigged bids, and passed inflated charges to the Government. The DOJ press release stated that the employees accepted more than $1.6 million in kickbacks from six companies in exchange for the award of subcontracts for work at a EPA clean-up site. Then, those employees conspired with the subcontractors to pass the majority of those kickbacks to the EPA through inflated charges. Obviously, this kind of fraud is perpetrated through a contractor's purchasing system and that is one reason why the adequate purchasing system are so important to the Government (e.g. DCMA performs periodic Contractor Purchasing Reviews (CPSR) at larger contractors). Internal controls can be devised to prevent fraud. Contractors should implement sound policies, procedures, and practices before its too late. Contracts awarded under sealed bidding (FAR Part 14) and by negotiation (FAR Part 15) both require prospective contractors to identify the place of contract performance and owner of the plant or facility at which the work will be performed. It is also necessary to identify the place of contract performance when determining and applying SCA rates (Service Contracting Act). Most prospective contractors disclose this information when making their certifications and representations as part of the SAM (System for Award Management) process. Why is such information necessary? What will the Government do with it? Information relative to the place of performance and owner of plant or facility, if other than the prospective contractor, is a basic requirement when contracting for supplies or services (including construction). A prospective contractor must affirmatively demonstrate its responsibility. Hence, the Government must be apprised of this information prior to the award. determine whether the prospective contractor is a manufacturer or a regular dealer. Back in 2011, we wrote a six part series describing how the Government conducts "responsibility" determinations on prospective contractors. That series can be viewed here. The information is used to determine the prospective contractor's eligibility for awards and to assure proper preparation of the contract. Prospective contractors are only required to submit place of performance information on an exceptional basis; that is, whenever the place of performance for a specific solution is different from the address of the prospective contractor as indicated in the proposal. The National Defense Authorization Act of 1991 established a canceled phase for funding. Funds are canceled five years after the date last available for obligation and may no longer be paid out, even if already obligated. Therefore, if all contract obligations using those funds are not paid by that date, the Government must find an alternative source of funds. Usually these alternative sources are from current appropriations. Obligating funds throughout the life of the contract is a balancing act. Contracting officers do not want to obligate too much funding and potentially lose it. On the other hand, they do not want to obligate too little funding and then later have to find the money from another source. Contract audits play a big role in cancelling funds. Its very difficult to estimate funding needs when incurred cost audits are backlogged. Will the contractor owe the Government money because final rates were lower than billing rates. If so, those overages could be lost as a source of funding other projects. Will the Government owe the contractor money because the billing rates were lower than the final rates? You would think that from the Government's perspective, underbilling would be a good thing. However, if the obligations for that contract have expired, then the Government has to find the money from other sources. When the Government has to find money from other sources, payments are often delayed because the Government must figure out from what bucket its going to draw from to pay the extra money. We know of one case right now that is into its fourth month without payment. The contractor's (audited) final rates were significantly higher than its billing rates. The Government acknowledges its liability but has not yet found the funds to pay (by the way, Prompt Payment Interest began accruing after 30 days). It is to everyone's advantage to resolve final indirect rates quickly and efficiently so that neither party is impacted by cancelling funds. Last September, the DoD Inspector General issued another one of its oversight reports on the quality and adequacy of DCAA (Defense Contract Audit Agency) audits. The IG reviewed 16 audits that were completed between 2011 and 2013. They found significant inadequacies in 13 of the 16 audits including deficiencies in i) audit planning, ii) evidential matter, iii) working paper documentation, and iv) supervision. They made 96 recommendations of which DCAA agreed with 72. Not happy with the concurrence rate, the IG wants DCAA to reconsider their response to the remaining 24 recommendations. Someone should try to get through to the DoD-IG's office that DCAA's audits, by any reasonable measure, are pretty darn good. Experienced DCAA auditors have an innate ability to quickly ferret out audit risks and to develop audit procedures commensurate with those risks. Audits are designed to provide "reasonable" assurance that a proposal price is based on adequate cost or pricing data or that incurred costs are allowable, allocable, and reasonable. The IG's expectation seems to be that DCAA should provide "absolute" assurance. Someone should also tell the IG that no one really cares about their audits of DCAA any longer. Congress has long since lost interest and the press certainly doesn't cover their ad nauseam reports on DCAA any longer. Seriously, is it really a National interest that an auditor somewhere did not comply with GAGAS (Generally Accepted Government Auditing Standards) because he failed to initial off on a working paper. Is National security at stake? Will the defense budget become overrun as a result? The public doesn't understand GAGAS nor will they ever take the time to do so - especially when there's IRS abuses, illegal immigration, and the rising cost of health care premiums to worry about. Come on IG, get a life. You've had your 15 minutes of fame back in 2009. Time to move on. Compliance audits have got to be the most mundane of any audit type. Picture the (highly paid) IG auditor who sits in a room and pours over a DCAA audit work package - looking for even the most minute infraction. Where's the job satisfaction in that? Are they adding value to the procurement process? In many cases, the IG auditors spend more time reviewing individual DCAA working paper packages than the auditor spent on the entire audit. How does that pencil out? Could private enterprise survive under such circumstances? We think its time for the Department of Defense to redirect the Inspector General's office toward more productive activities. Final Indirect Rate Determination - Contracting Officer or Auditor? Final indirect cost rates can be established on the basis of contracting officer determination or auditor determination. FAR (Federal Acquisition Regulations) contain guidance on who gets that responsibility (see FAR 42.705). Basically, the contracting officer is the one responsible for settling indirect expense rates. Under certain circumstances, the contracting officer may delegate that responsibility to the contract auditor. Settlement of indirect expense rates for the big dollar contractors is always reserved for contracting officer determination. Business units of multi-divisional corporations under the cognizance of a corporate administrative contracting officer (CACO) must be settled by the contracting officer. Likewise, indirect expense rates at business units not under the cognizance of a CACO but having a resident administrative contracting officer must be settled by the contracting officer (a resident administrative contracting officer is one who spends more than 75 percent of his/her time on a single contractor). Rates at educational institutions, state and local governments, and nonprofit organizations are also reserved for contracting officer determination. Everything else can be delegated to the contract auditor for final determination if the contracting officer decides to delegate the responsibility. In other words, its totally up to the contracting officer to delegate or retain the responsibility for final determination. There are several factors that the contracting officer will consider when deciding whether to delegate or retain settlement responsibility. The contract auditor must agree to accept the delegation however. If the contract auditor does not agree, the contracting officer is stuck with the responsibility. The business unit has primarily fixed-price contracts, with only minor involvement in cost-reimbursement contracts (contractors with predominately fixed price work are considered lower risk than those with predominately cost reimbursable contracts). The business unit does not have a history of disputes and there are few cost problems (this would cover most contractors). The contracting officer and auditor agree that special circumstances require auditor determination. If the contractor and the contract auditor cannot agree on rates for a submission that has been delegated to the contract auditor for determination, the contracting officer takes over the responsibility for final determination. This happens somewhat frequently for a variety of reasons. Most often its because a contract auditor cannot "negotiate" a settlement - issues are black and white and questioned costs are based on applicable cost principles. Recognizing that there are grey areas and costs where "reasonableness" comes into play, the contracting officer, by authority of his/her warrant, can negotiate a mutually agreeable settlement. What Does Certifying Your Indirect Rates Mean? Contractors that have prepared and submitted annual incurred cost proposals are well aware of the requirement to certify indirect costs. The certification is typically embodied in "Schedule N" of the Model Incurred Cost proposal is a name that derives from FAR 52.216-7. (d)(2)(iii), section N. This is the contract clause that delineates items that comprise an adequate incurred cost proposal, a certification being one of the mandatory requirements. Elsewhere in FAR, the Government is prohibited from establishing final indirect cost rates unless the costs have been certified by the contractor (see FAR 42.703-2(a)). 2. This proposal does not include any costs which are expressly unallowable under applicable cost principles of the FAR or its supplements. The certification must be signed by an individual at a level no lower than a vice president or chief financial officer. There are serious penalties for submitting incurred cost proposals with costs known to be unallowable. 10 USC 2324 (DoD contracts) and 41 USC 256 (non-DoD contracts) are the Statutes upon which penalties can be assessed. Those statutes state that the submission of a proposal that includes expressly unallowable costs, with the knowledge that the costs are unallowable, are subject to the provisions of 18 USC 287 and 31 USC 3729. The fines imposed by these statutes is up to five years and a million dollars. Contractors need to take the certification requirements very seriously and question or query whoever is responsible for preparing the submission as to the steps taken to ensure that no unallowable costs have been included in the annual incurred cost proposal. Sometimes, as it appears to us, contractors have not performed due diligence before signing off on the certification. That's right, FAR (Federal Acquisition Regulations) does provide a process for waiving the certification process but don't count on any success. We've never seen a waiver requested, much less granted. The indirect rate certification requirement is a statutory requirement found in 10 USC 2324(h)(1) for DoD contracts and in 41 USC 256(h)(1) for non-DoD contracts. According to those provisions, a proposal shall not be accepted by the Government, and no agreement shall be made to establish final indirect cost rates unless the costs have been certified by the contractor. The head of the agency or the Secretary of the military department concerned may, in an exceptional case, waive the requirement for certification under paragraph (1) in the case of any contract if the head of the agency or the Secretary determines in such case that it would be in the interest of the United States to waive such certification and states in writing the reasons for that determination and makes such determination available to the public. An executive agency may, in an exceptional case, waive the requirement for certification under paragraph (1) in the case of any contract if the agency determines in such case that it would be in the interest of the United States to waive such certification and states in writing the reasons for that determination and makes such determination available to the public. A foreign government or international organization, such as a subsidiary body of NATO. A state or local government subject to OMB Circular A-87. An educational institution subject to OMB Circular A-21. A nonprofit organization subject to OMB Circular A-122. We don't see any run-of-the-mill Government contractors in the foregoing listing. So the chances of securing a waiver by the typical Government contractor seems remote. Actually, the mere inquiry by a contractor as to the availability of a waiver would probably raise a red flag among the contracting officer and contract auditor. They might wonder what the contractor was trying to hide. If you are the kind of Government contractor that builds things in your own facilities, you've no doubt experienced the steady stream of Government engineers, technicians, contracting officers, financial analysts, quality control, quality assurance, and other types of contracting officer representatives strolling around your plant, review progress, pouring over reports, second-guessing your estimates to complete, and generally, just kicking the tires of whatever it is you're building. And they're not usually unobtrusive. Many times they want presentations so you have to find some overworked employee to develop PowerPoint presentations for the dog and pony shows. The need for and the purpose of these visits is often fuzzy and you suspect that these guys just wanted a trip out of DC, or Wright-Patterson, or Huntsville or wherever they sit generally, to break up their monotonous week. A certain amount of this comes with the territory - with Government contracting. Unless you're selling commercial items, you can expect the Government to apply plenty of oversight. But that doesn't mean "unlimited" oversight. There is a limit to what a contractor must accept and can reasonably accept. Visits by Government personnel must be cleared through the contracting officer and the contracting officer is required to coordinate those visits with the contractor and to discourage such visits if the information sought is readily available elsewhere or has been previously provided. The regulations covering visits by Government personnel is found in FAR 42.402. Visitors' names, official positions, and security clearances. Name and address of contractor and personnel to be contacted. Contract number, program involved, and purpose of visit. If desired, visitors to a contractor's plan may request that a representative of the CAO accompany them. In any event, the CAO has final authority to decide whether a representative shall accompany a visitor. If the visit will result in reviewing, auditing, or obtaining any information from the contractor relating to contract administration functions, the prospective visitor shall identify the information in sufficient detail so as to permit the CAO, after consultation with the contractor and the cognizant audit office, to determine whether such information, adequate to fulfill the requirement, has recently been reviewed by or is available within the Government. If so, the CAO will discourage the visit and refer the prospective visitor to the Government office where such information is located. Where the office is the CAO, such information will be immediately forwarded or otherwise made available to the requester. Visitors shall fully inform the CAO of any agreements reached with the contractor or other results of the visit that may affect the CAO. The main point of this blog is to make sure that contractors understand that the contracting officer is responsible for ensuring the propriety of the need for visits by other Government personnel and that such visits need to be coordinated in advance with the contractor after the contracting officer and the contractor have determined that the information being sought is not otherwise available. Every five years or so the Government goes through its procurement regulations and decides whether to raise certain acquisition-related dollar thresholds. For example, the TINA (Truth In Negotiations Act) threshold was last raised back in 2010 from $650 thousand to $700 thousand. Look for another bump next year, in 2015. Most of these threshold adjustments are required by statute or regulation and the changes are based on published indices such as the CPI. The Department of Defense has just published a proposed change to its FAR Supplement (DFARS) that will affect many of the dollar thresholds found in the supplement. Most of these would not interest contractors as they pertain to internal policies, guidance, and instructions. We were able however to find a few changes that might be of interest to contractors and prospective contractors. Simplified Acquisition Threshold. According to FAR 2.101, the simplified acquisition threshold is essentially $150 thousand except when needed to support contingency operation or to facilitate defense against or recovery from nuclear, biological, chemical, or radiological attack, doubles to $300 thousand. FAR also sets the a threshold of $1 million for contracts awarded and performed outside the US. The DFARS lowers the overseas threshold to $300 thousand for humanitarian and peacekeeping operations. That $300 thousand threshold will rise to $400 thousand under this new proposal. Contract Code of Business Ethics and Conduct. Currently, DFARS requires contractors with contracts exceeding $5 million to display a Hotline Poster. The new regulation raises that threshold to $5.5 million. Its probably a good idea for all contractors to display hotline posters regardless of contract value. Its part of a setting the "tone at the top" and contributes to good internal controls. Commercial Items. FAR prohibits contracting officers from requiring cost or pricing data where there is adequate competition, when prices are set by law or regulation or for the acquisition of commercial items. Waivers are available for exceptional circumstances. DFARS requires an annual report for any waivers granted on acquisitions expected to exceed $15 million. The proposed regulation will increase that threshold to $20 million. There is probably nothing here that is going to change the way contractors bid or perform contracts. The Hotline Poster requirement, at least, is a good reminder for contractors that are not complying with the current requirement. We've wandered the halls of many contractors and subcontractors who have five million dollar contracts and are not complying with the hotline poster requirement. Who Is Your Cognizant Federal Agency? Part 42 of the Federal Acquisition Regulations (FAR) is all about contract administration - things that happen after a contract is awarded and who in the Government responsible for performing those activities. It includes an ever-expanding list of 71 contract administration functions (up from 69 functions a few years ago). For DoD contracts, these functions are performed by DCMA (Defense Contract Management Agency). Other agencies have their own contract administration functions - DOE (Department of Energy) and NASA are two such departments having robust contract administration functions. The administration functions are delegated to contract administrators by the contracting officer. The contracting officer may decide to keep most of the administrative functions and not delegate them. There are a couple of contracting activities within DoD that do just that - they retain most of the ACO functions. However, according to FAR, there are four functions that must be delegated - they cannot be retained by the contracting officer. These are forward pricing rate agreements, final incurred cost settlement, anything to do with CAS (Cost Accounting Standards) and determining the adequacy of contractors' accounting systems. It is very common for contractors have a mix of contracts from various Federal agencies. We were just reading about one contractor with significant contracts from DoD (Defense) and DOE. (Energy) and AID (Agency for International Development). Each one of those agencies have their own contract administration functions but it would not be necessary, desirable or even workable if each one were trying to perform their contact administration functions independent of the other. For example, why would you want two different agencies to independently review a contractor's accounting system and determine whether the system was adequate for Government contracting purposes. What would happen, for example, if DoD declared the accounting system adequate but DOE came along and declared it inadequate? To prevent inefficiencies and duplication, FAR came up with the concept of "Cognizant Federal Agency". FAR states that only one federal agency will assume contract administrative functions at a given contractor and that agency will be called the Cognizant Federal Agency. The Cognizant Federal Agency is normally the agency with the largest dollar amount of negotiated contracts, including options (see FAR 42.003). What happens then is that the various agencies get together and tally up their negotiated contracts and the winner becomes the Cognizant Federal Agency. Contracting is not static and sometimes, the contract mix changes so that the assigned Cognizant Federal Agency no longer has the preponderance of the contracts at a particular contractor. So, if the responsibility for contract administration flips from one year to the next and then back again, a significant loss of continuity and efficiency might occur. FAR has this one figured out. Once a Federal agency assumes cognizance for a contractor, it should remain cognizant for at least five years to ensure continuity and ease of administration. If, at the end of the five year period, another agency has the largest dollar amount of negotiated contracts, including options, the two agencies shall coordinate and determine which will assume cognizance. However, if circumstances warrant it and the affected agencies agree, cognizance may transfer prior to the expiration of the five-year period. So, if you don't like your contract administrator, go out and get a bunch of contracts from a different Federal agency and in five years, you'll have a new one. There is an active FAR case requesting public comments on whether a current data collection requirement should be continued. These kinds of requests pop up all the time. Requests for data from contractors must be approved by the OMB (Office of Management and Budget) and these approvals have sunset clauses, meaning that they will expire unless re-approved by OMB. This request involves the submission of an organization chart for contractors with cost-type construction contracts. Many times we wonder about the genesis of these data requests. Who wanted them? Why was it considered necessary? Why was it so necessary and important that it had to be included in the procurement regulations? Why wouldn't the contractor provide an organization chart without a clause requiring them to do so? And then we wonder whether anyone cares anymore. Who collects the data? What do they do with it? Is there a compliance officer out there somewhere checking to see if the contractor complies? What happens if the contractor does not comply? Would anyone notice? And on and on. When this contract is executed, the Contractor shall submit to the Contracting Officer a chart showing the general executive and administrative organization, the personnel to be employed in connection with the work under this contract, and their respective duties. The Contractor shall keep the data furnished current by supplementing it as additional information becomes available. The FAR councils estimate that this requirement will apply to 50 contractors annually and it will take 45 minutes to comply for a total of 38 hours. We dare say that the Government has already expended significantly more than 38 hours just publishing this silly request, not to mention the other incremental cost related to this action. We are continuing our series on Cost Accounting Standards Disclosure Statements today by looking at the second required audit. As you recall from last Friday, once a contractor submits a Disclosure Statement, the contract auditor will review it for adequacy and report back to the contracting officer. The contracting officer, in turn, will declare the Disclosure Statement adequate (or not adequate). At this point, there should not be too many cases of inadequate determinations. We recall a few (a very few) somewhat obstinate contractors over the years who were not inclined to agree to any auditors' recommendations to modify a description of an accounting practice. But such an attitude is very short-sighted. The Disclosure Statement is simply a description of the accounting practices that a contractor will use to account for costs on Government contracts. If the contract auditor thinks a description is not descriptive enough, it is no big deal to modify the description. Just do it. How long can it take - five minutes? After the Contracting Officer determines the Disclosure Statement to be adequate, the contract auditor will initiate a second review to determine whether the Disclosure Statement is compliant with both the CAS Board rules, regulations, and standards, and acqusition regulations. This second audit is supposed to be completed within 60 days of the contracting officer determination but rarely is. In practice, unless there is some glaring compliance matter, contractors (and prospective contractors) generally scoot by during the initial compliance review. Once contract performance begins however, the process of testing for compliance becomes continuous. The contract auditor will be looking for compliance in every audit performed. We should point out that the Government makes a very big deal out of consistency in estimating and accumulating/reporting costs. The practices need to be the same. Also, the actual practices of estimating, accumulating, and reporting costs need to be consistent with what has been written - the disclosed practices. If the disclosed practices don't work, change the description. Its too easy for auditors to find cases where actual practices do not comply with disclosed practices.